Netflix doesn’t make a regular habit of Blu-ray and DVD releases for its original programs, especially as fans of certain series likely already have streaming access. 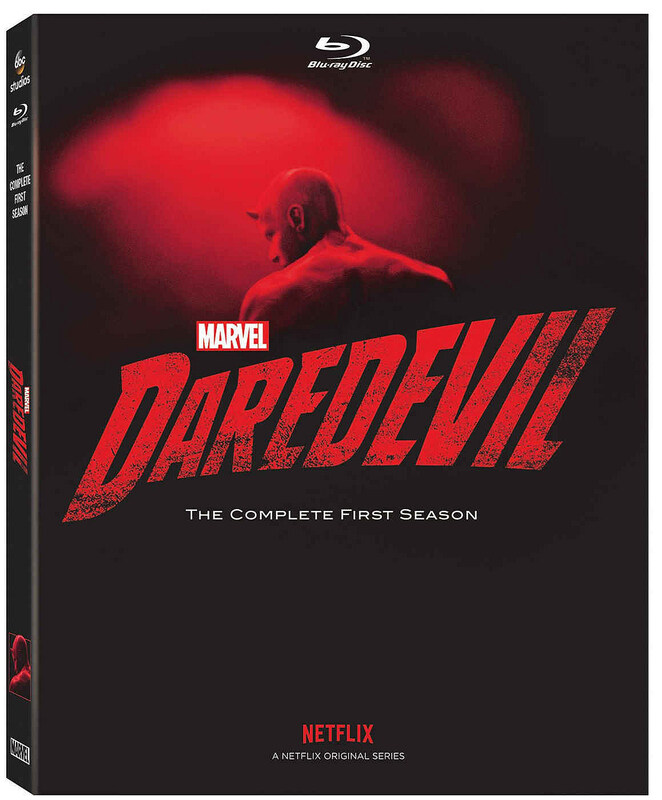 Nonetheless, the ubiquitous popularity of Daredevil has earned Season 1 an official Blu-ray release for November. According to the press release, Marvel’s Daredevil: The Complete First Season will arrive on Blu-ray November 8, including all 13 episodes. Don’t get your hopes up for an overabundance of special features, however, as the $39.99 release only appears to contain the episodes themselves, at least for now. No word yet on if Marvel or Netflix intend to grant the same treatment to all of its Defender series, even perhaps the second season of Daredevil. Those seasons are certainly starting to pile up, as well, with a third venture for Marvel’s first Defender currently hovering somewhere around a 2018 release date. In the meantime, all episodes of Daredevil, Jessica Jones and Luke Cage are available to stream now, with Iron Fist, The Defenders and The Punisher on the way in the next year.